A project so beloved and prevalent it has essentially become part of Tucson's cultural DNA. Ben's Bells started here, but the message quickly spread across the state and even the nation. 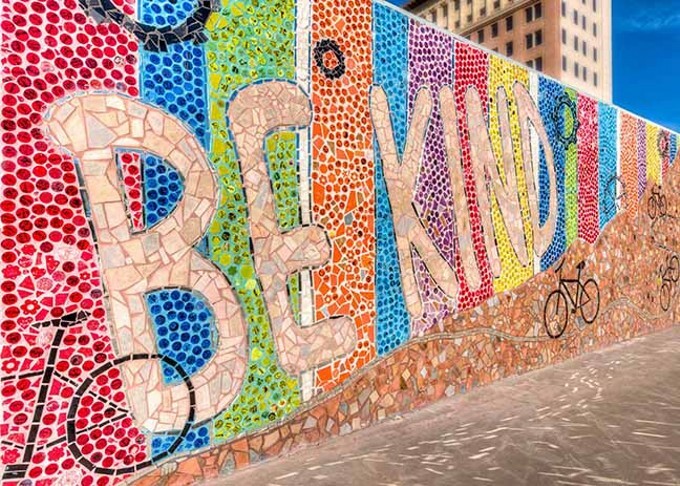 Now, people are finding reminders to "be kind" in states like Idaho and Connecticut. These more recent artworks, expertly crafted of glittering shards, now adorn the walls around Tucson. You can't really escape their art around town, but why would you want to? What more of a noble ethos than to remind people of the power of kindness?